Today students were encouraged to walk to school or ride their bikes or scooters as we finished off our Health Week. Lots of students and their parents participated! The kids had fun running through the obstacle course, too, and the rain held off just perfectly! Students also wore exercise or sport clothing to remind them to be healthy. Mustangs wore their pajamas on Tuesday to promote healthy sleep habits. Kindergarten students in Mrs. Kadish's class had a lot of fun learning their ABCs. On Friday they played games that included matching, writing, and finding letters of the alphabet. Students at Meadow Brook kicked off Health Week by taking the Veg Pledge. They promised to eat at least one fruit or vegetable each day this week. During the first week of school Mrs. Simpson's class did team building activities to build community in their classroom. That team building has payed off! We have been working so well together in the classroom and on the playground. Together everyone achieves more! Mrs. Tew brought in 3 caterpillars and milkweed into Miss Sheets’ class the first week of school. The caterpillars ate, and ate. Soon, they climbed to the top of the cage and hung on by silk and started to make their cocoons. It took ten days for them to become butterflies. Two of the butterflies were girls and one was a boy. One of the girl butterflies was a Queen butterfly and the rest were Monarchs. The queen butterfly has a darker color than the monarch butterflies and more white spots. Did you know that? Sign Up NOW for SEPS! Read more about Sign Up NOW for SEPS! HEALTH WEEK is next week! Monday: "Veg Pledge" day— PTA will be in the front of the school with a sign up sheet that kids can sign; students will receive a small prize if they commit to eating a fruit or vegetable a day for the entire week. The class with the highest percentage of participation will receive a prize. Tuesday: Pajama day—To promote healthy sleeping habits. Read more about HEALTH WEEK is next week! possibility of opening it up to other grades in the future. We will have a fall choir and spring choir. 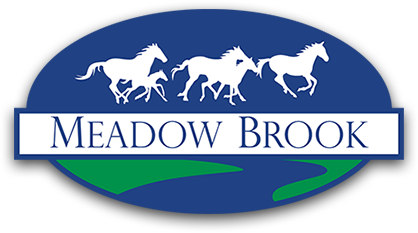 Order Your Meadow Brook Shirt Now! PTA will be processing shirt orders on Monday, September 11th. These shirts should arrive by the end of the month. Don't worry if you miss this one, PTA will process another order late October. There are many different items available in our Meadow Brook Store. Read more about Order Your Meadow Brook Shirt Now!